Wants to send out SMS birthday greetings to customer on their birthday? Wants to send out SMS payment reminder to customer 7 days before the due date? 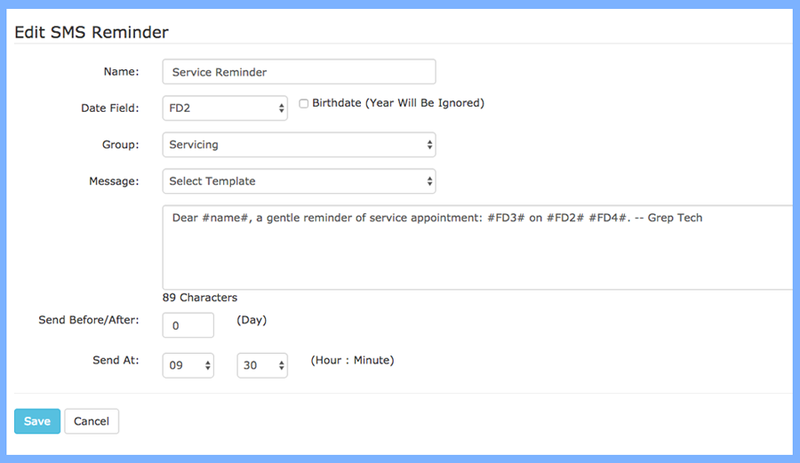 Wants to send out SMS appointment reminder to customer 1 day before the appointment date? 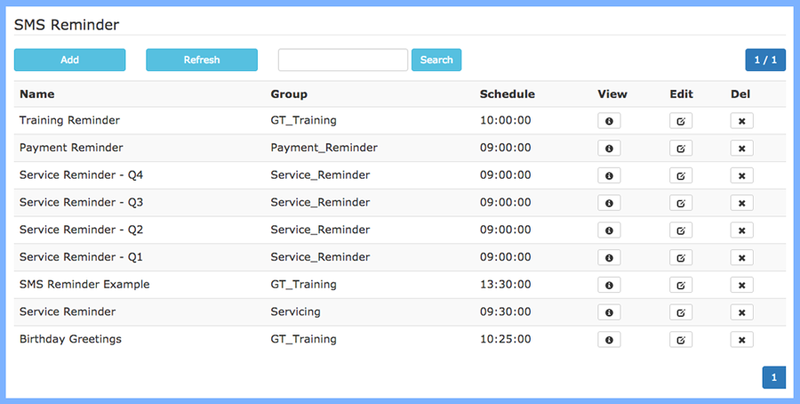 GT Notify SMS auto reminder system is able to send out scheduled SMS message to individual person automatically.